Research in Motion may be taking some time off from the continually crowding smartphone market, but the company is planning a return in 2013. Smartphones running on the BlackBerry 10 platform aren't due to start arriving until sometime next year, but that doesn't mean RIM is just biding its time. In fact, RIM revealed Wednesday more than 50 different carriers were currently testing BlackBerry 10 on their networks in a key phase known as Lab Entry. With two new devices set to arrive during the first quarter next year, it's a crucial stage for RIM, as making sure BB10 works across all possible carriers can only help re-establish the brand against competitors like iOS and Android. RIM CEO Thorsten Heins has visited with many of the carriers currently working with the BlackBerry 10 platform, and shared news of his travels plus the prospects of the new platform. "I have spent the last several weeks on the road visiting with carrier partners around the world to show them the BlackBerry 10 platform and to share with them our plans for launch," Heins stated. "They are excited about the prospect of launching BlackBerry 10 in their markets. Our respective teams are now engaged on the technical and commercial preparation of the launch of BlackBerry 10 and the lab entry is an important milestone in that context." 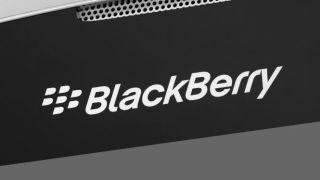 The current testing process takes a few weeks to complete, but RIM is already looking ahead to the next step in re-establishing the BlackBerry brand. "Our developer teams are continuing to generate momentum to bring a wealth of applications to BlackBerry 10," Heins continued. "Our enterprise teams have started to present BlackBerry 10 devices and services to our business customers, and our engineers are fully mobilized to ensure that BlackBerry 10 launches flawlessly in the first quarter of 2013." When BlackBerry 10 launches next year, RIM will find the market crowded with consumers who have adopted newer operating systems. Sales of Apple's iPhone 5 are expected to hit 250 million during its lifetime, and the smartphone got off to a great start by selling five million units in its first three days alone. Likewise, Android is also having great success with 1.3 million new devices activated per day, and 500 million activated to date. While some of that is due to tablets, popular smartphones like the Galaxy S3 and HTC One X are undeniable contributors to that ever increasing number. And that's still not including the freshly launched Windows Phone 8 devices like the HTC Windows Phone 8X, which should also attract some of the potential consumers RIM is targeting for BlackBerry 10. We'll have to wait until next year to see just what kind of impact BlackBerry 10 has, but at least for now RIM and carriers around the world are optimistic for the platform's success.